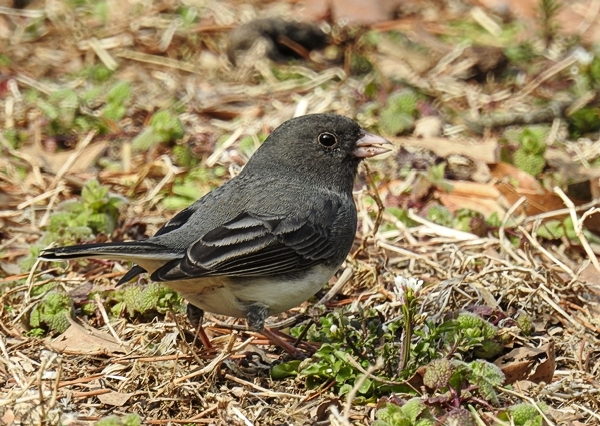 Dark-Eyed Juncos, the “snow birds,” show up in our yard every fall and spend the winter with us. 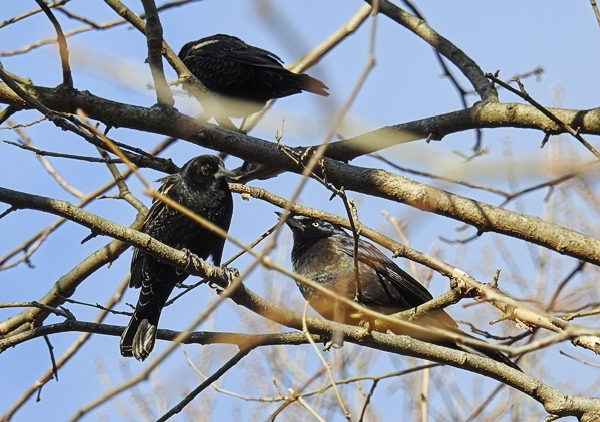 They are always a busy addition to the yard, eating seed I offer them and flying across the yard, flashing their black and white tail feathers. It always makes me smile when they arrive. Last week there were more than thirty of them every day poking through the tiny spring flowers in the grass, eating nyjer and millet seed to gather their energy for their trek north to their breeding grounds. I think they have been starting to think about breeding because they’ve been chasing each other around the yard quite a bit for the past couple of weeks. For the past few weeks I’ve been on a crusade to try to get the House Sparrows that settled into our yard over the winter to move on. We’ve never had many House Sparrows in our yard because I only put out millet in the winter months for the White-Throated Sparrows and the Dark-Eyed Juncos. Each winter, I might get a couple, but they have always left once I stopped offering millet in the spring. But this year, the House Sparrow population built up gradually over the winter until now I typically see nearly twenty at a time and they’ve become a problem. If I let them stay, they will probably nest here and the numbers will climb like crazy. They need to go. 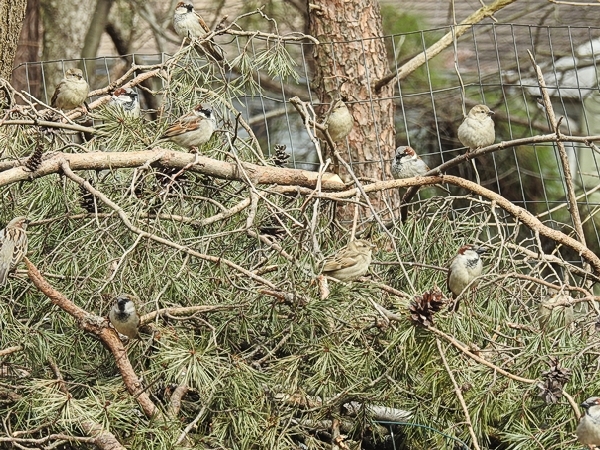 This is the story of what has turned into one of my biggest bird feeding challenges.